If you want to find a great place to have a lunch in Karangasem area, Mahagiri Restaurant at Mahagiri Resort in Rendang village is surely offer a great value for your money and time, spoiling not just your tongue but also your eyes. Situated on a strategic place, overlooking breathtaking lush green rice terraces with Mount Agung towering majestically on the background, Mahagiri Restaurant offers beautiful view to accompany your lunch and turn it into a memorable eating experience. Mahagiri restaurant also provides excellent dishes to match up the beauty of surrounding nature. With “Back to Nature” concept, all dishes are made of locally grown fresh ingredients, ensuring the healthiness of the food without any compromise on the taste. 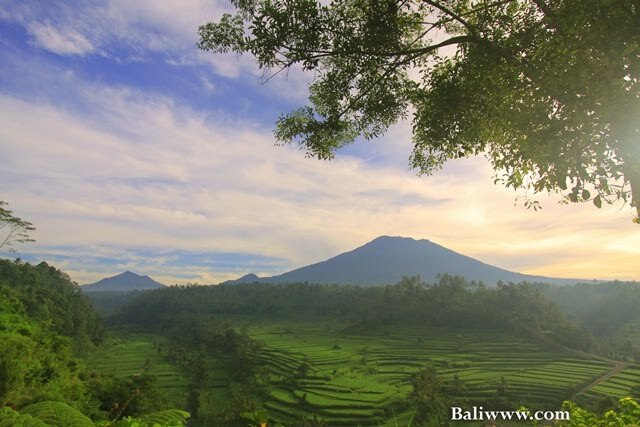 So if you happen to spend your holiday at Karangsem areas, make sure to have your lunch at Mahagiri restaurant and enjoy the beauty of Mount Agung while savoring the healthy delicious dishes.